In a surprising move for many, LinkedIn has decided to retire their Q&A product – LinkedIn Answers on January 31, 2013. This feature has been on the site ever since 2007 and whilst has always got use from users it’s clear not enough to satisfy LinkedIn in keeping this product alive. One of the issues for many users and new people to the site is that the Answers Product is hidden within the top search menu with no other prominent signs of mention. 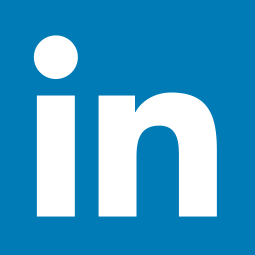 As of Jan. 31, LinkedIn Answers will be retired from LinkedIn. We will be focusing our efforts on the development of new and more engaging ways to share and discuss professional topics across LinkedIn. In the meantime, members can still pose questions and facilitate professional discussions through other popular LinkedIn channels including LinkedIn Polls, Groups, or status update. Many have speculated this now gives even further opportunity to Q&A website, Quora to become the sole destination for Question and Answer type discussions. The problem - There are many people on LinkedIn who over years have spent an enormous amount of time building their personal brand by answering hundreds and in some cases thousands of questions posted. I am not one of these people but once you’ve spent so much time on a product like this to find it is being closed – it is a rather disappointing news to receive. Of course on LinkedIn you can still ask questions in Polls, Groups, or status updates as LinkedIn themselves have mentioned.